Is intended for edge gluing and lamination of wooden stock whose joints are dried naturally. They require very little room and their modular design allows gradual expendability to meet the desired capacity. They are very simple to maintaine and to operate. 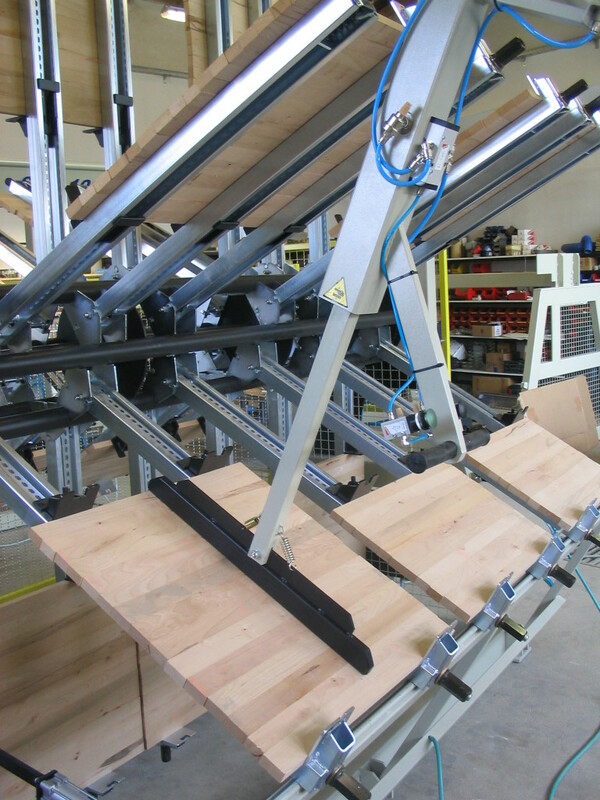 Wooden elemnts on the edges of which the glue has already been applied, are stacked into a clamps, organized in sections. 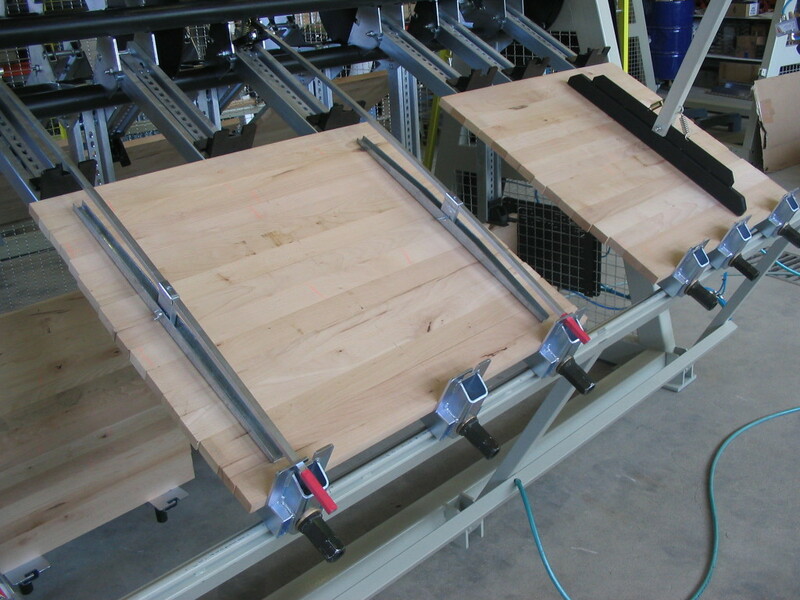 Clamps may accomodate wooden elemnts from 25 to 90 mm thick. 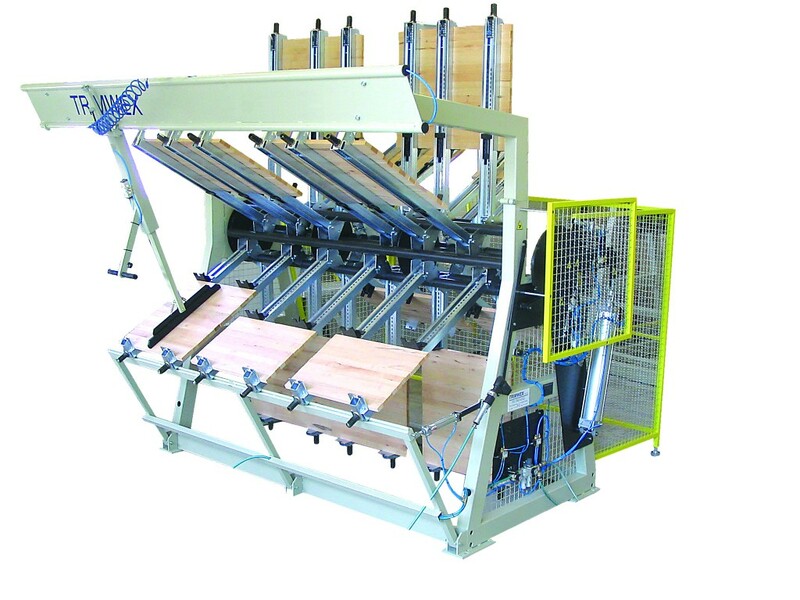 Clamps may be tightened with hand pneumatic motor. 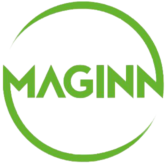 Call Maginn today on 01-4504111 to discuss your requirements.